Simply everything you need to know about Japanese whisky. In 11 peg-size points. Whisky connoisseurs are still recovering from the shock of having their beloved Scotch edged out of the top rung by a relative stranger – the Japanese single malt. The Yamazaki Single Malt Sherry Cask 2013 was given the World’s Best title by the iconic Jim Murray’s Whisky Bible 2015. Murray praised the Japanese malt as “near indescribable genius”, with a “nose of exquisite boldness” and a finish of “light, teasing spice”, giving it an astounding 97.5 out of 100. To add further insult to injury, not a single Scotch managed to make the final five shortlist. So, what is it that the rest of us have been missing about Japanese whisky? Let’s find out, in 11 peg-size points. Whisky has been commercially produced in Japan since the early 1920s, after Masataka Taketsuru, a young chemist, studied the art in Scotland. On returning, he set up the Yamazaki distillery, in partnership with Torii Shinjiro, now the owner of Suntory. Bonus fact: Recently Suntory announced a $16 billion takeover of Beam Inc., the maker of Laphroaig and Ardmore Scotches among others. This makes Suntory the world’s third largest spirits-maker after Diageo and Pernod. Japan is the world’s third largest producer of whisky behind the Scots and the Americans – yes, they beat the Irish! Since Japanese whisky has more in common with Scottish ones, rather than Irish or American, its name follows the Scotch tradition and is spelled without an “e”. Barley is not indigenous to Japan, so the grain still tends to be imported from Scotland. Though the Japanese whisky makers use many types of barrel for ageing – including French oak and bourbon – several distilleries employ the native Mizunara oak, which imparts almost ecclesiastical aromas of temple incense and sandalwood. Plus, Mizunara-matured whiskies lose an exceptional amount of water through evaporation, making for a much more condensed end product. Japan’s extreme climate speeds up the maturation, making the whisky seem older than it’s actual age. 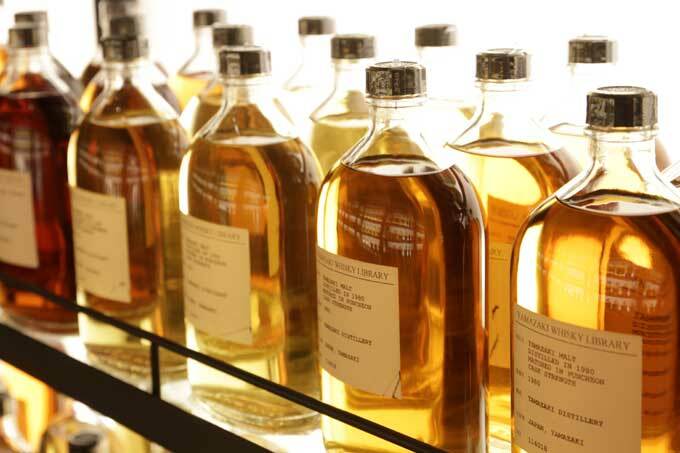 Plus, the mineral water used for making these whiskies is treasured enough to be bottled and sold on its own. All this has a distinctive effect on the whisky. Like with any and every facet of their lives, the Japanese prize harmony and balance in their whiskies as well, paying more attention to the body and texture than other countries. The top rung ones are usually floral, more rounded and have a softer, silkier texture than those from Scotland, while being equally complex. Suavely bold rather than jaw-grabbingly aggressive is how one would sum them up. Unlike Scotch, Japanese whisky is not regulated in the USA, so producers have more freedom to experiment with flavors and techniques. For example, the Scots cannot use a combination of different types of stills and casks but it’s very usual in Japan. Even the ageing process can run through different iterations: the Yoichi distillery uses coal fires (instead of steam) to heat the pot stills, creating a richer, peatier flavour. 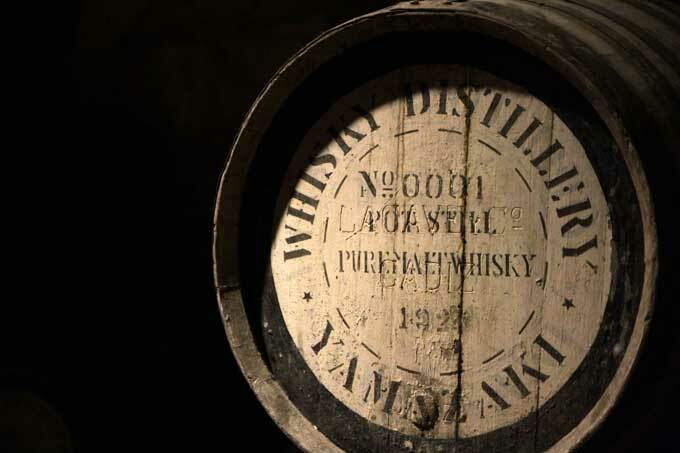 In Japan, there is no trading of unfinished whiskies between distillers. Instead, each distillery creates every conceivable style of whisky by itself, providing the master blender with a wide range of minutely calibrated in-house variations. This makes Japanese blended whiskies extremely specific to each house: individualized, idiosyncratic, sometimes even offbeat. Though technically speaking, you can drink a Japanese whisky any which way – neat, on the rocks, with a splash or in a cocktail – the most authentic is mizuwari, which translates as “mixed with water”. To make it right, fill your glass with ice and add one part of whisky to two parts of mineral water. Younger generations of Japanese are now also leaning towards the highball – a version of mizuwari where whisky is mixed with sparkling water. The Yamazaki Single Malt Sherry Cask 2013 isn’t the first whisky to shine on the world stage: Nikka’s Yoichi whisky was named Best of the Best by Whisky Magazine in 2001. Suntory’s 30-year-old Hibiki won the top award at the International Spirits Challenge in 2003, after which Suntory went on to earn awards at the competition for the next 11 years. So, now you know. And since the Yamazaki Single Malt Sherry Cask 2013 is all sold out across the world, here is a shortlist of the best that’s available on the market (in no particular order). Have you tried a Japanese whisky? Which one’s your favorite?